Just this year, lawmakers have introduced nearly 100 bills in 28 states to increase funding for special education students, according to The Education Commission of the States. And my home state of Arizona was one of them. As the mother of a child with a disability, I can attest to the need for more resources for special education students. However, I’m also hoping states seize these opportunities to rethink the funding mechanisms themselves and question underlying assumptions. The state also uses a weighted, per-pupil method—generally referred to as the “Group B” weights—within its funding system for special education students. Arizona’s underlying school finance system provides a statutory, base-level amount per pupil. This amount is multiplied by special education funding weights correlated with specific disability categories. This system was designed to fund the needs of students with specific disabilities, with weights being adjusted over the years in response to cost studies. 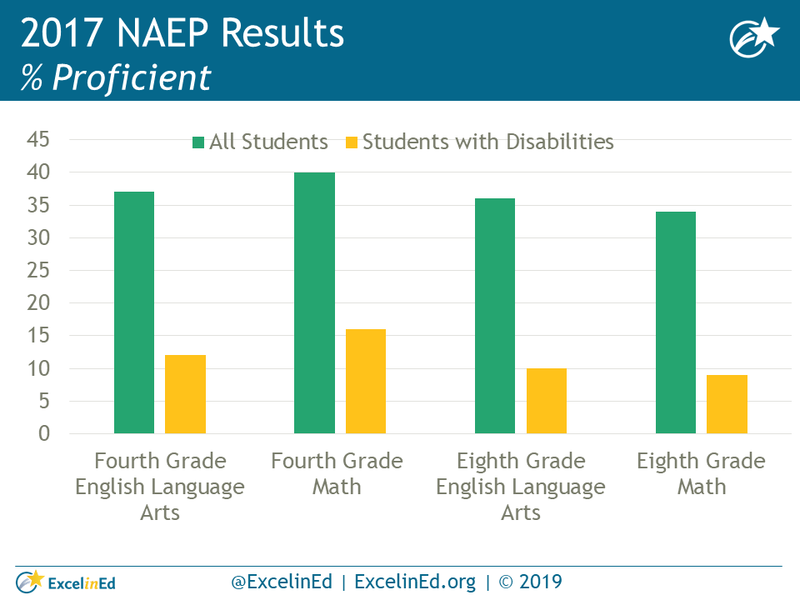 Whether or not these amounts are sufficient will always be debated, but one thing should be obvious: the diversity of students’ disabilities and the assumption that all children identified with a certain disability require equal types of services is antiquated. 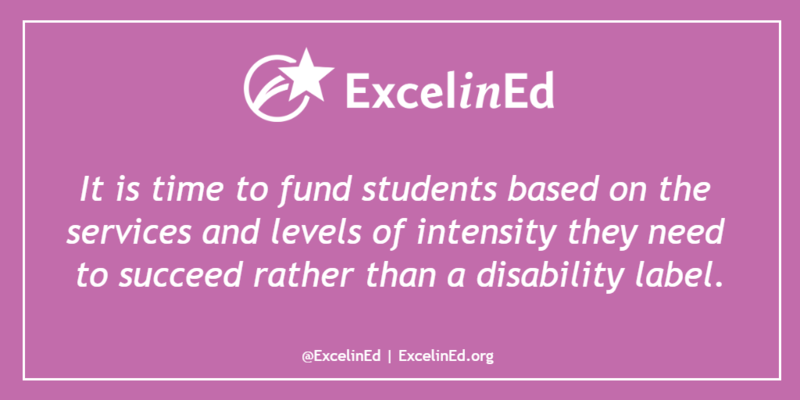 It is time to fund students based on the services and levels of intensity they need to succeed rather than a disability label. One of the most pervasive and pernicious myths of special education is that if a student is identified with a disability, we can assume that child is unable to achieve at similar levels as typically developing students. This myth is due, in part, to a misunderstanding of the diverse array of disabilities recognized by federal law as well as long-held misperceptions about the limitations these students may have. 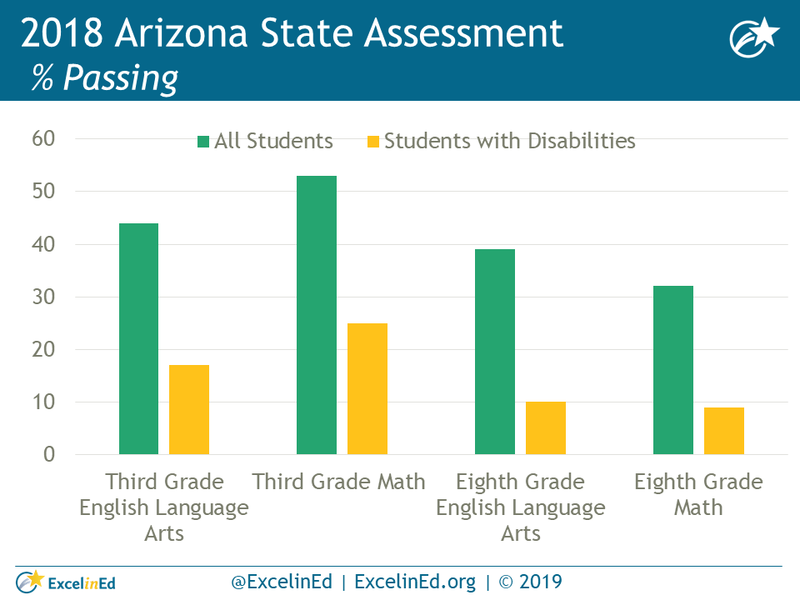 Most special education students have no cognitive impairments that would prevent them from reaching the same learning achievement levels as other students. Yet, both national and state level data demonstrate that significant achievement gaps persist. Determining the supports that students with disabilities need to be college and career ready should be the goal of any funding system. It is time for special education funding systems to be truly student-centered and see beyond a student’s diagnosis. There will always be debate over funding amounts, but the focus must shift to funding services and supports with college and career readiness in mind for ALL students.